When you read an email or surf the Internet, you should be wary of scams that try to steal your personal information (identity theft), your money, or both. 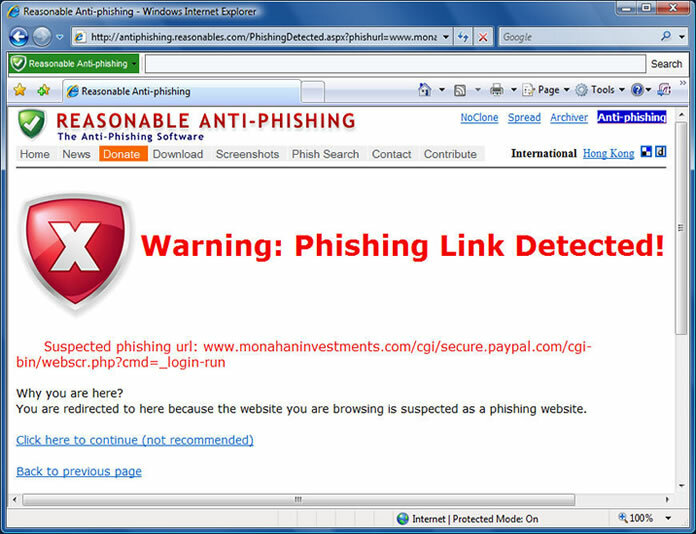 Many of these scams are known as “phishing scams” because they “fish” for your information. New scams seem to appear every day. To see some of the latest scams, check the (Security fraud section) in addition, you can learn to recognize a scam by familiarizing yourself with some of the telltale signs. Rogue security software scams. Rogue security software, also known as “scareware,” is a software that appears to be beneficial from a security perspective but provides limited or no security, generates erroneous or misleading alerts, or attempts to lure you into participating in fraudulent transactions. These scams can appear in email, online advertisements, your social networking site, search engine results, or even in pop-up windows on your computer that might appear to be part of your operating system, but are not. For more information, see Watch out for fake virus alerts.